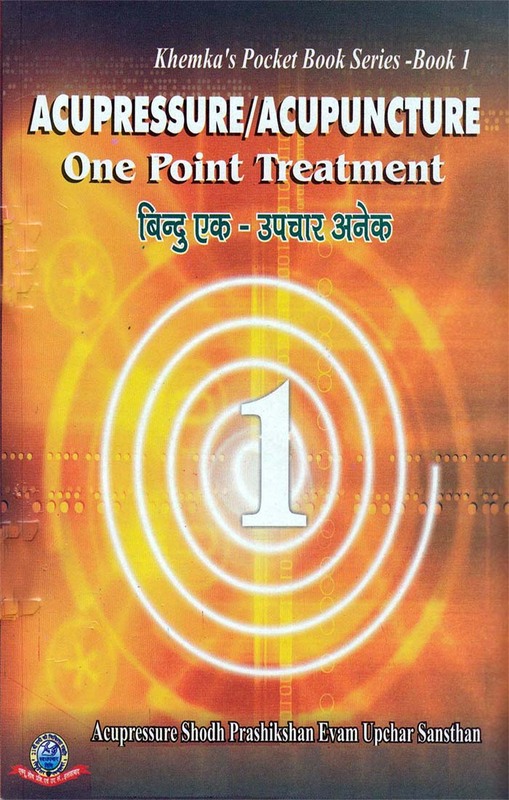 One point treatment Pocket Book (hindi+Eng.) This book is a step towards simplification of acupressure treatment so that even a beginner can cure simple diseases. A normal acupressure protocol consists of a minimum of around five to six points and can go up to around fifteen points. To be able to apply these protocols require certain amount of expertise. Further, a patient finds many points to be quite irksome. Hence, a need was felt to minimize the number of points as far as possible. इस बुक के अंतर्गत मुहांसे,किसी ग्रंथि में सूजन,उम्र का बढ़ना,शराब पिने की लत से छुटकारा पाना,संधि शोध,रक्त,सांस में दुर्गंध,कब्ज,भूख,सिर दर्द,पथरी बनना,मल,बवासीर,प्यास,वमन,कीड़े,कंपकंपी तथा टॉन्सिल से संबंधित रोगो के बारे में इस बुक में हमें जानकारी मिलती है !